Q: How do I use PhosGuard? How long does it work and when is it exhausted? A: PhosGuard is best used in smaller quantities and changed frequently. In an environment with an excessively high phosphate reading, PhosGuard will exhaust rapidly (4 – 5 days). Place the product in a high flow rate area and test your phosphate levels, changing as needed. When you see that your level is below 0.2 ppm (mg/L) leave that portion of PhosGuard in the filter. PhosGuard may yellow somewhat as it picks up organics, but that is not an indicator of exhaustion for phosphate removal. Continue to test weekly for phosphate until you see it begin to rise again. You will then know that it is time to change the PhosGuard. 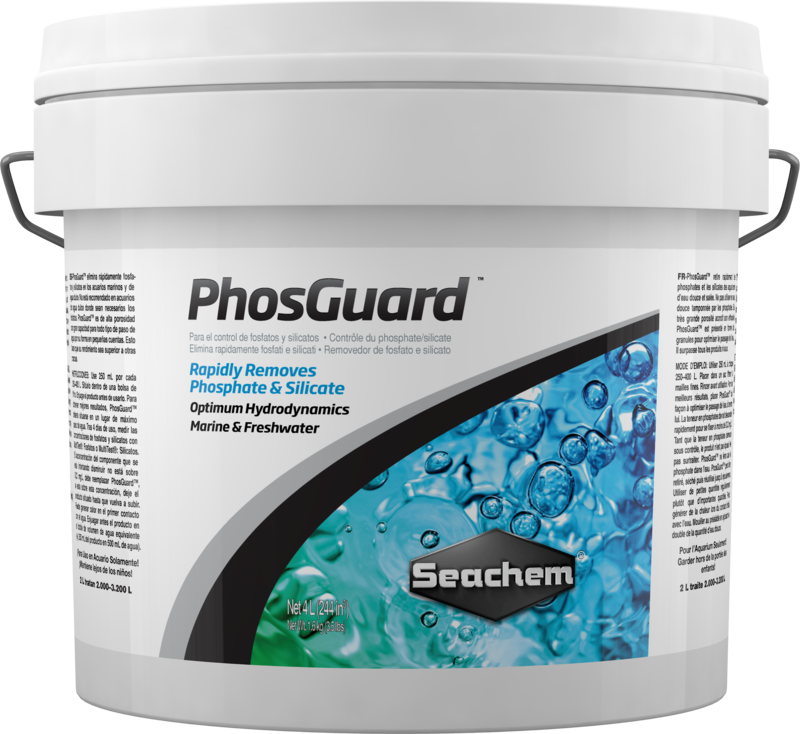 If you have low levels of phosphate the PhosGuard will absorb the silicate in your system. It’s inert and safe to leave in your filter. A: Although some manufacturer’s claim that their aluminum oxide based phosphate removing products can be regenerated by intense heat, this is, unfortunately, not the case. That claim is based on a naive interpretation of the information provided by manufacturers of bulk aluminum oxide. 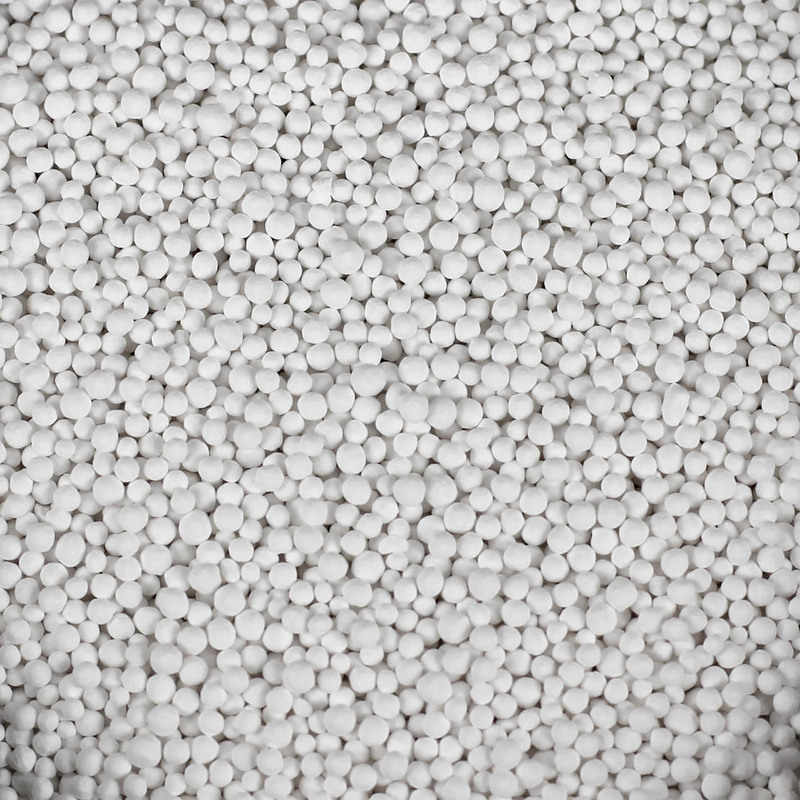 Aluminum oxide is more commonly used in gas purification to remove volatile organics and moisture; heating the material after such use will release the non-covalently adsorbed compounds. However, heat cannot result in phosphate release from aluminum oxide due to a difference in the nature by which phosphates are bound to aluminum oxide versus adsorbed gases. Q: I've contacted Reef forums and I was told that your product releases aluminum, which will close corals for weeks and might even damage them. Is tis accurate? Additionally, aluminum oxide is not easily absorbed into the cell to cause negative reactions. Even at three times the dose of PhosGuard, soft-bodied corals such as Sarcophyton remain unaffected. Q: If PhosGuard doesn’t release aluminum that will stress corals, then why did my corals close a day after I added PhosGuard? 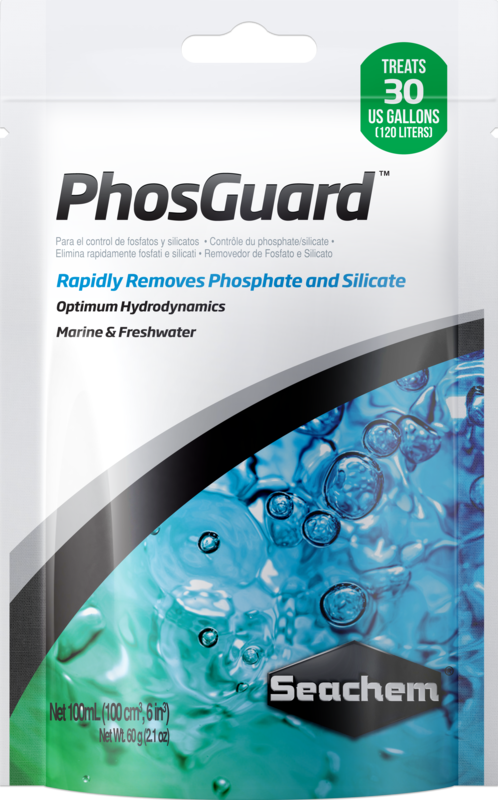 A: Phosphate plays a major role in the chemistry of the aquarium, and an overdose of PhosGuard is capable of very rapidly lowering the phosphate concentration in the aquarium. If an overdose of PhosGuard is used, it is possibly to lower the phosphate concentration so quickly that corals become stressed. Q: Company X says that I don’t need to replace their phosphate absorber for several months, while your instructions say that PhosGuard needs to be replaced every 4 days when reducing phosphate. Doesn’t that make PhosGuard an inferior product? A: Not at all! If it takes a phosphate absorber several months to reach its full capacity when the tank has high phosphates, it means that the media is exceptionally slow at absorbing phosphate. 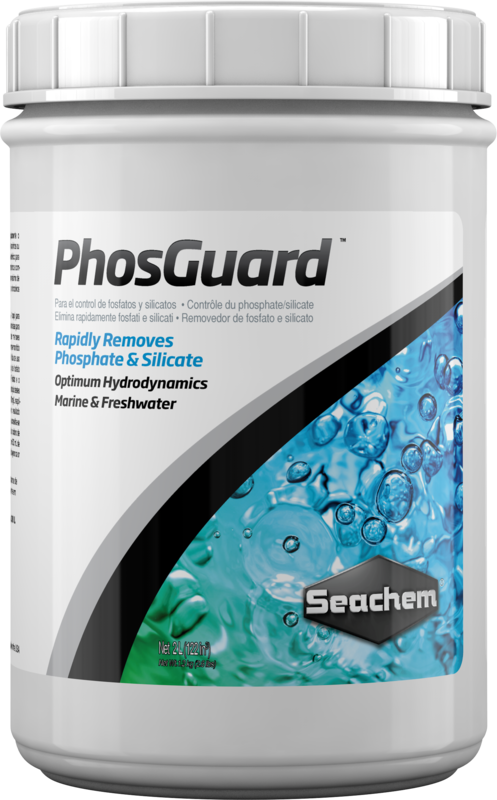 PhosGuard needs to be replaced every 4 days as long as there is a phosphate problem because, given an infinite amount of available phosphate, PhosGuard absorbs phosphate so quickly that it reaches its full capacity in 4 days. The 4 day replacement period is a function of how quickly the media works, not a function of how high a capacity the media has. Q: Can I use PhosGuard in a media reactor? A: We do not recommend it, as the tumbling action of a media reactor can cause this media to produce dust.